It could be one of the most perplexing awards ever given. Big Abortion ambassador and former Planned Parenthood CEO, Cecile Richards recently received a HUMAN RIGHTS award. That’s right – the woman who we told you presided over the murders of over 3.5 million innocent babies in her 12 year tenure was named the most recent recipient of the Hubert H. Humphrey Civil and Human Rights Award by the Leadership Conference on Civil and Human Rights. Apparently the rights of those millions of lives she helped take away – some whose body parts Planned Parenthood then reportedly sold for profit under her leadership – didn’t count. This award would be laughable, except there’s nothing funny about it. Cecile Richards, president of Planned Parenthood Federation of America and Planned Parenthood Action Fund, is a nationally respected leader in women’s health and reproductive rights. Planned Parenthood has worked for more than 100 years to build a healthier and safer world for women, men, and young people. She has grown advocacy efforts to fight for expanded access to health care, and has led innumerable nationwide campaigns to preserve patients’ access to preventive health care at Planned Parenthood health centers through federal programs. Again, we would refer the attendees of this conference to the over 3.5 million people we’d like to ask about Richards concerns for a healthier, safer world, but can’t because she took away their voices. 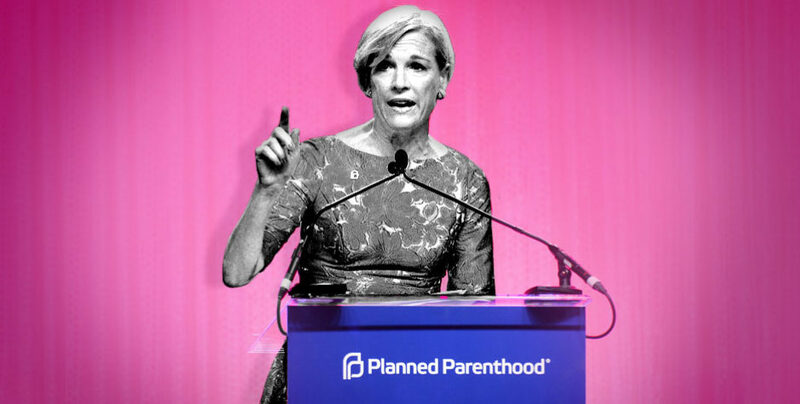 Not only did Richards drive Planned Parenthood to record numbers of abortions, but she also helped them rake in record profits. Whether you knew it or not, you helped. By their own reporting, last year alone Richards’ abortion juggernaut received over $500 million in taxpayer funding. It’s hard to imagine anyone behind an organization that kills unborn babies and takes money from the pockets of unwitting tax payers receiving any kind of award – least of all a Human Rights award. It’s preposterous. We can’t take her ridiculous award away, but we’re vigorously fighting to take Planned Parenthood’s money away – really our money because it’s taxpayer funds. We’re expanding our legal efforts to defund Planned Parenthood. We've already helped defund Planned Parenthood's international operations – no more tax dollars for global abortions. Now a case has been appealed to the Supreme Court that would give states the right to defund Planned Parenthood. We've just filed a critical Supreme Court amicus brief in that case that could rip millions away from Planned Parenthood. We're also preparing to file critical public legal comments in support of the Department of Health and Human Services’ (HHS) proposed rule to stop federal funds through Title X from going to the abortion industry. Under Title X, the Federal Government provides grants for women’s health programs. This money was never intended to go toward the abortion industry, yet somehow Planned Parenthood accounts for as much as 41% of the funds. If we succeed in our legal advocacy in these cases, we will be delivering a stinging blow to the already flailing Planned Parenthood abortion juggernaut. And we will not stop there. At the ACLJ, we've taken on more than half a dozen massive pro-life cases across the country, each of which could end up at the Supreme Court. We are relentlessly committed to crippling Big Abortion, ending taxpayer funded abortion completely, and saving countless innocent babies. We won’t be serving any awards. But we will serve Planned Parenthood a nationwide eviction notice. Help us end taxpayer funded abortion.